The Stroke Blog: We Want to Go with Oh to Paris! Before we get started, did you miss our big announcement last Friday? Paris is a city for the senses. And it takes our mantra eat, see, and do, to a whole new level. The tastes - melt-in-your-mouth baguettes and rich French wines. The smells - Parisian perfumeries and subways. The sights - panoramic views from the Eiffel Tower and Arc du Triomphe, shimmering stained glass at Notre Dame and Sainte Chapelle, some of the best street fashion in the world. And countless things to do - burlesque shows at the Moulin Rouge, Seine river cruises, Parisian plages, Luxembourg Gardens, shopping the Champs d'Elysees, getting lost in the Louvre. In a lifetime you couldn't begin to scratch the surface of all this city has to offer. And that's why we love it. 1. HEAR THE FOUNTAINS AT VERSAILLES. Yes, hear. 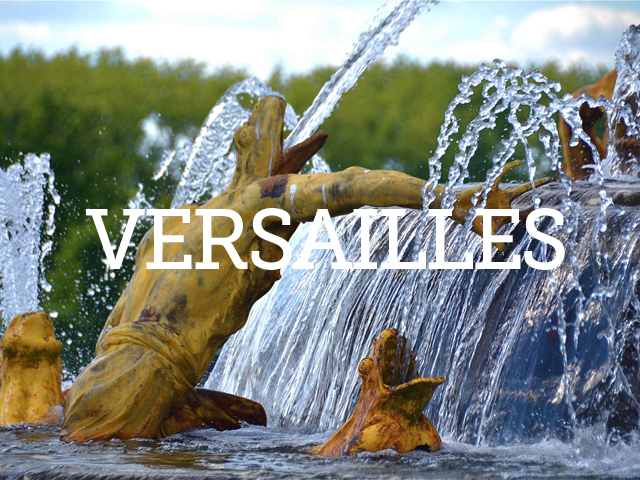 You might think of Versailles as a feast for the eyes, but from April to October the fountains of Versailles come alive to the sound of classical music. We'll wander through the palace with throngs of fellow tourists, feed the ducks at the Hameau de la Reine, and ride a bike built for two around the gardens to enjoy the musical show. We'll have a lot of ground to cover - the gardens alone measure 8 square kilometers! 2. PAY OUR RESPECTS AT PÉRE LACHAISE CEMETERY. 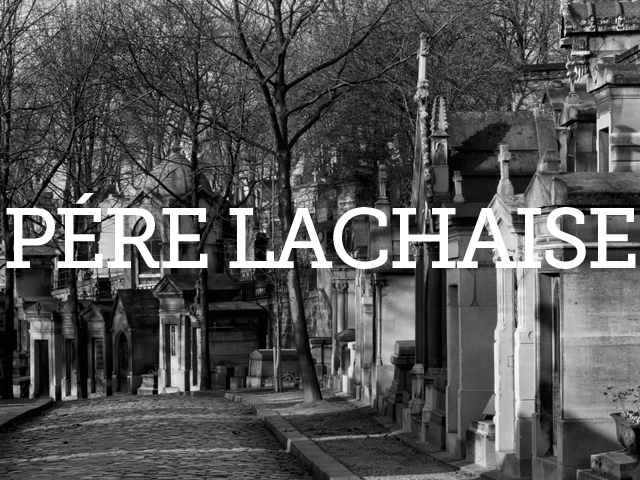 Pére Lachaise is Paris' biggest cemetery, and an art history student's dream. It's the final resting place of Chopin, Parisian architect Baron Haussmann, playwright Molière, Victor Hugo, musician Jim Morrison, Marcel Proust, Delacroix, the poet Guilliame Apollinaire, Oscar Wilde, Modigliani, and Gertrude Stein, to name a few. It's also home to many heartbreakingly beautiful sepulchres, funerary monuments, sculptures, and mausolea. Affectionately called la cité des morts (city of the dead) by locals, this cemetery feels anything but. And we can't wait to show it to you. 3. PLAY AT DISNEYLAND PARIS. Conjure up an image of Paris and it may not include amusement park rides and Mickey Mouse. But we believe that even big kids need to play once in awhile. 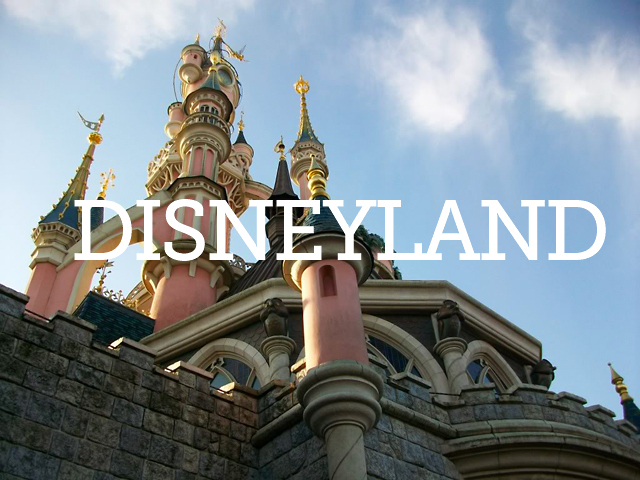 When we Go with Oh to Paris we'll experience the magic of Disneyland - Jess' first time to a Disney theme park. Spinning tea cups, costumed characters, Space Mountain, and Fantasyland. We'll see the world through a child's eyes, if only for a day. It's a small world, after all. 4. DINE IN THE DARK. Although French food can arguably be appreciated with the eyes as much as the mouth, in Paris we'll opt for a quirky culinary experience and go dining in the dark. At other eat-in-the-dark restaurants diners and staff are given night goggles, but not here. Restaurant Dans Le Noir is the real deal. Diners and wait staff rely on their sense of smell and touch to navigate the restaurant and identify what's on their plate. We think it will make for a clumsy, messy, and fun evening. Imagine the before and after shots! 5. SEE A WORKING GUILLOTINE. Formerly working, of course. 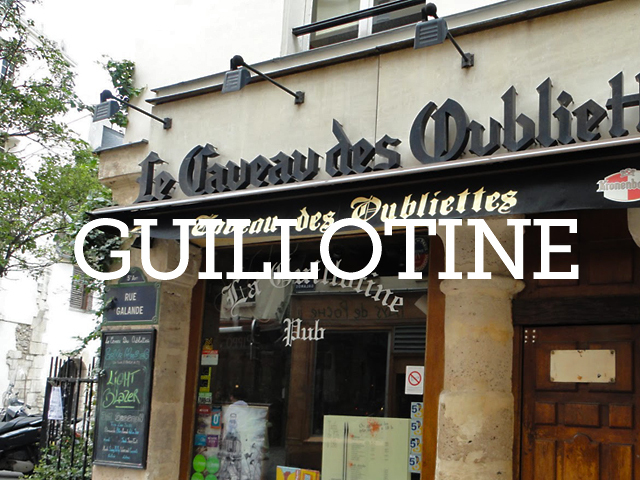 In a tiny bar in Paris' Latin Quarter a bit of Parisian history is being preserved. La Caveau des Oubliettes (roughly translated as Cave of the Forgotten) is located in a genuine 12th century prison that held prisoners awaiting the guillotine. Serving up drinks in a simultaneously chilling and warm atmosphere, only at La Caveau can you sit next to a live jazz and blues band and a 1792 working guillotine at the same time. We'll drink up (pun intended) a little piece of Paris' history, and chat up some locals about what to see when we inevitably return to the city. Because Paris - this big, beautiful, sensory delight of a city - has a way of always drawing visitors back. Help us Go with Oh to Paris! Send a tweet or email (they're pre-loaded with messages - easy!) or create a Facebook post to let Go with Oh know we're the best bloggers for the job. Not only do we have a great story to share, but Go with Oh wants to help you get the most out of what Europe has to offer. And we live that motto everyday. With Go with Oh there's something for everyone. Get in on the fun! Tweet your best Berlin travel tips to @GowithOh for a chance to win a $50 Amazon gift card. You can also enter to win one of four fantastic travel prizes - Samsonite luggage, an iPad, a Panasonic camera, or €500 worth of holiday accomodation - on their Facebook site. We've also created the #GowithOh tag on Pinterest! Head on over to check out our #GowithOh board for great travel ideas, and tweet us if we've missed your favourite. 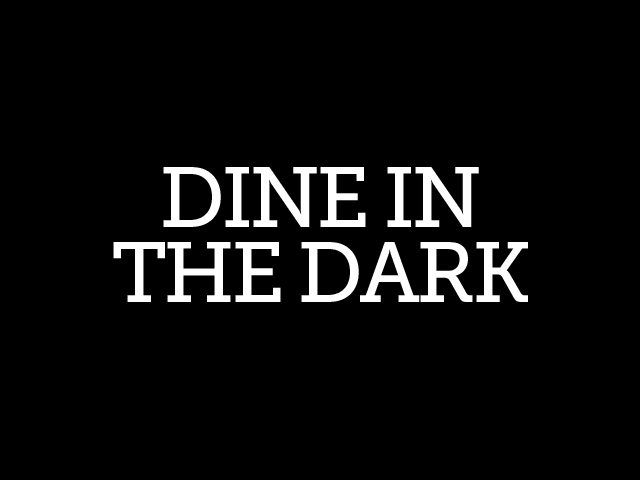 Dine in the Dark, thats a new concept for me. Seems like the type of gimmickry you'd expect from the trendoids in Berlin, not the French. Maybe it would heighten my weaker than normal sense of smell. How about the French waiters? They might operate with more impunity as they're anonymous now. Did I tiptoe around enough lazy stereotypes already. I was curious about the waiters...I'll report back and let you know!